These attractive return address labels were inspired by classic ceramic Spanish tiles. However, if you look back at the history of this art form, you'll find the original influence comes from Arab culture. When Arabs invaded the region which became modern day Spain, they brought the skill of making ceramics with them. It wasn't long before these elaborate kaleidoscopes of color started showing up in architecture. 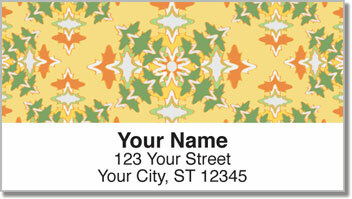 Spanish Tile Address Labels reflect the multicolored mosaic styles that have timeless appeal. 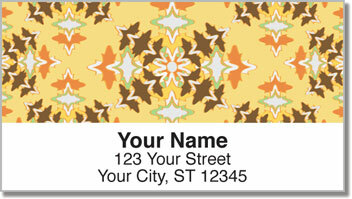 They'll add elegance to every envelope you send in the mail. Plus, you'll save a considerable amount of time because you'll never have to scribble your name and address on letters and packages again! Order your own Spanish Tile Address Labels today! This selection is also available as matching personal checks.